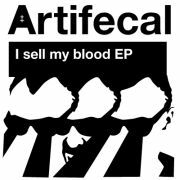 From Spain comes Artifecal to spice up your acid party. In an unheard raw way Artifecal brings together 60’s psych pop/rock and 80’s lo-fi electronic tunes. In doing this the act creates trashy songs that sound like Crystal Stilts on a casiotone trip. This is stuff that if made in the 1960’s would have made it to the Pebbles / Nuggets series. It has the same lo-fi garage feel but, as said, adds the cheap electronic instruments from the 1980’s. A rather wild mix!